In testing out a Pendleton Point "Good Guy" nib grind, I found it had the fantastic ability of containing just enough italic edge to letter some broad edge. Enjoy this writing sample, demonstrating such. 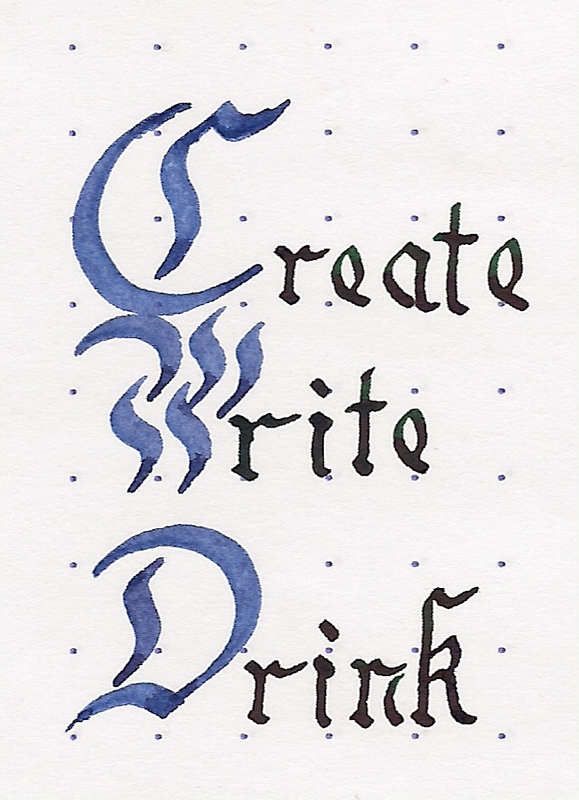 The larger letters were done with a Staedtler calligraphy pen with a B nib. Note that this was written on a Rhodia dot pad (which should provide a sense of scale with the dots).